2.Mash the boil potatoes and mix with green peas,grated carrot and cheese.Add green chillies,pepper,salt and mix well. 3.Make round balls and keep them separately. 4.Heat oil in a deep frying vessel. 5.Break the egg into a bowl and whisk it. 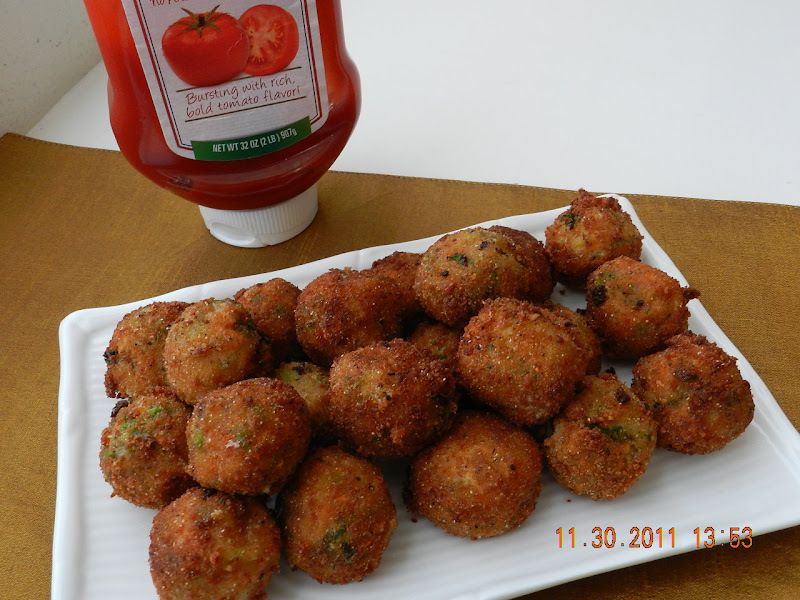 6.Dip each ball into egg and roll into bread crumbs.Drop into the oil and carefully fry in medium flame.Keep an eye on it.It will change the color very fast.Turn in between to avoid burning. 7.Transfer the cheese balls into plate.